California is a huge state that features hundreds of highways with millions of drivers per day. If your business makes use of a lot of cars, trucks or vans, adorning them with colorful and attractive graphics can take your marketing strategy to a whole new level. At SpeedPro Imaging Sacramento, we offer full fleet wraps that will gather millions of impressions. 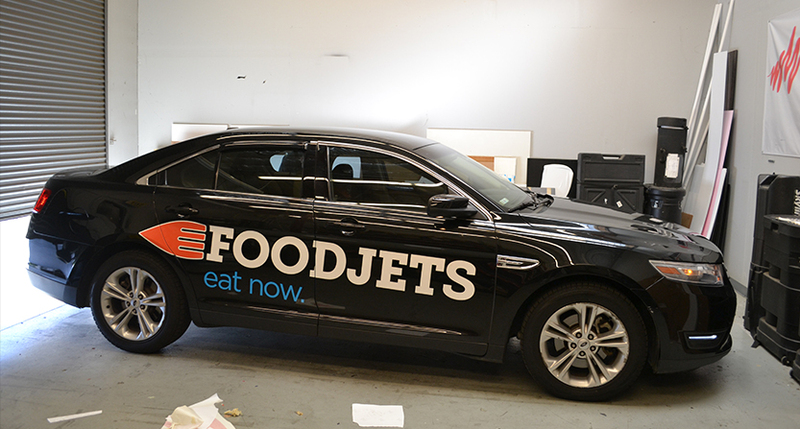 As part of the nation’s biggest large format graphics provider, we use top-tier printing technology and materials to ensure your vehicle graphics stand out above the pack. If you decide to trust us with designing and installing your custom fleet wraps, you’re making the wise choice to drastically increase your visibility at a fraction of the cost of other mediums. Research shows that vehicle graphics can generate between 30,000 and 70,000 impressions per day. When you multiply those numbers by the amount of vehicles you have, the potential for generating an exceptional ROI goes through the roof. For a deeper analysis of the cost of not wrapping your fleet of vehicles, read our blog post here. The United States’ vehicle wrapping industry is expected to nearly double in revenue between 2016 and 2022, so there’s not a better time than now to jump in on the craze. Wraps also protect your vehicle’s paint, keeping it clean-looking and rust-free. 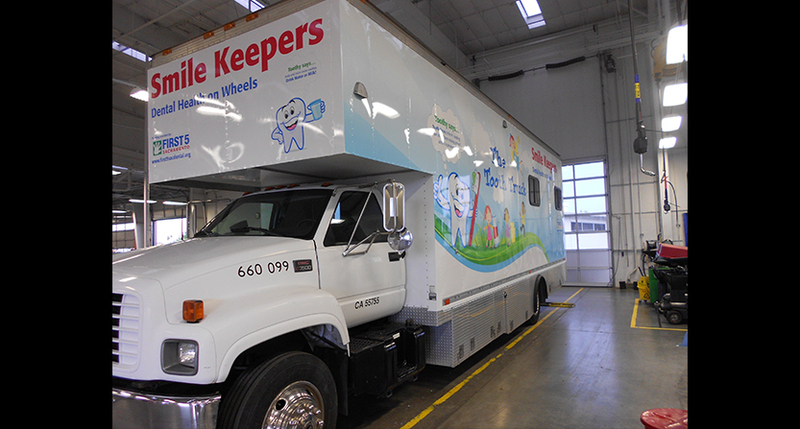 We create and apply our vehicle wraps quickly and efficiently using top-graded materials and long-life inks. Whether you have a fleet of nine-foot vans or 53-foot tractor trailers, we can fulfill your requests. We believe in finding solutions, not excuses! We take pride in our process being collaborative and stress-free. Once we know your requirements, we’ll recommend what options we feel are best for you based on the situation. 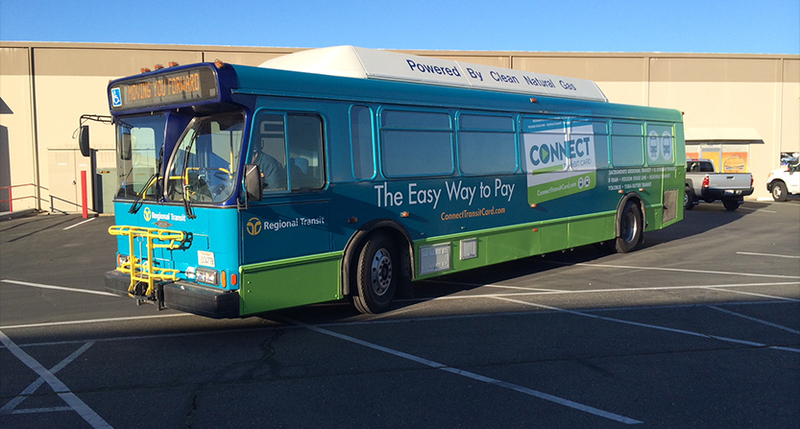 We offer full wraps that transform your vehicle into a fully functional 4D billboard. The graphics — which can come emblazoned with a customized phone number or URL to track impressions — can cover every part of the vehicle that’s not the front windshield or front side door windows. We also offer partial wraps, which generally cover one side or a particular area of a vehicle. This option is cost-friendly and will still make an impact. Spot decals and lettering are also available in a variety of templates. No matter your choices, we’ll run your prospective designs through software that predicts how images will look on a variety of different vehicle models. That way, we can make adjustments easily before the printing process begins. When the design phase is finished, we’ll prepare for installation. You’ll need to have your vehicles thoroughly cleaned for the wraps so that no residue interferes with the adhering process. 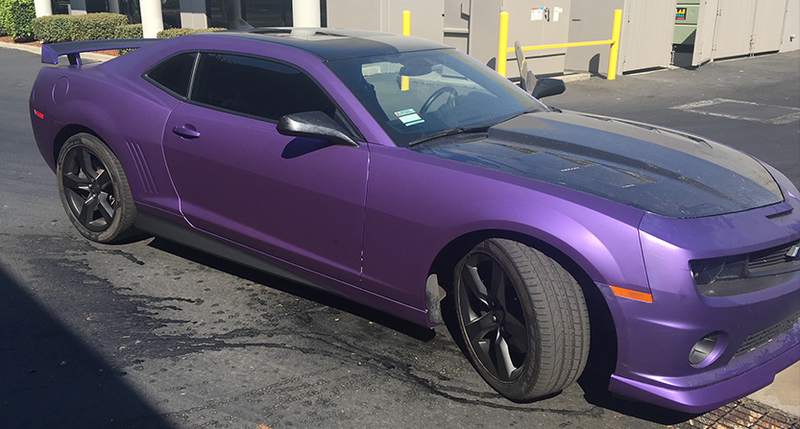 Should You Choose Cast or Calendar Vinyl for Your Wrap? 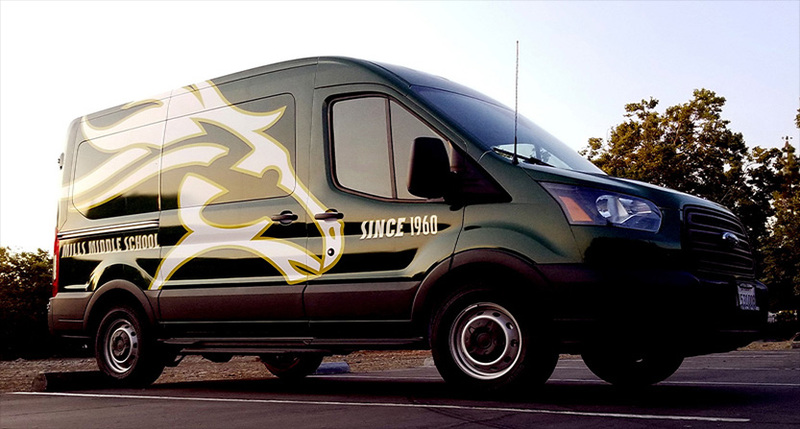 Adding a custom wrap to a commercial work truck involves precision and detail. A wrap needs to be big enough to generate the ideal amount of attention but not so big that it can’t maintain the balance between durable and flexible. In this case, it’s necessary to choose the particular type of vinyl that displays your graphic. Cast vinyl is one option you can select to wrap your truck. This thin material allows your design to be wrapped and on display for a lengthy period. With it, you can cover multiple parts of your truck with ease and smoothness, as it’s easy to adhere without any issues. If you’re looking for an opposite advantage, calendar vinyl might be the choice for you. It’s made with a thicker build, ensuring a strong and durable display. This type of sheet wrap works comfortably around the various nuts and bolts that might be exposed on the exterior of your truck without ripping. SpeedPro Imaging Sacramento will work with you directly to identify the proper type of vinyl to emphasize your brand. No matter which custom truck wraps you choose, you’re sure to grab attention from any driver passing by. Full VS. Partial: How Much Coverage is Necessary? In addition to choosing your material, you’ll also want to determine how much coverage is necessary to promote your brand on your work truck. You can choose between full truck wraps and partial ones, or the difference between long-term and short-term branding. A full track wrap will provide you with a majority of coverage and branding. All areas of your truck can be wrapped, including your front hood, back door and side panels. 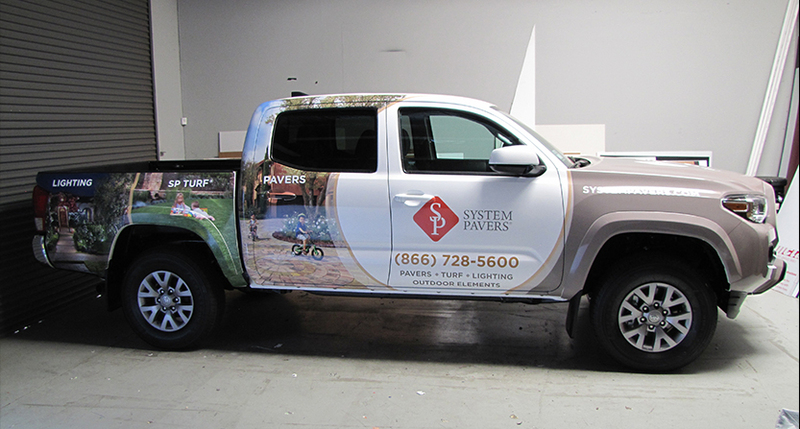 On the other hand, if you’re looking for a small amount of branding, a partial truck wrap is the ideal match for you. This option will allow you the room to specify how little or much advertising you want to provide as well as which areas of your truck you prefer to focus on. Once your vehicles are spotless, you can bring them to our studio, where we’ll work as quickly as possible to ensure that you get your custom fleet wraps done under the deadline. Contact us today to schedule your consultation and get started. If you prefer an in-person visit, our studio is located near White Rock Road and Prospect Park Drive in Rancho Cordova.